If there is one food that you should strongly consider adding into your diet, it is citrus. Besides the delicious burst of flavor, it delivers many health benefits as well. Here is a scenic tour of a few of them. In a 2011 study by Western University in London, Ontario it was discovered that a tangerine flavonoid called Nobiletin reduces the risk of developing obesity and type 2 diabetes. Researchers looked at two groups of mice and the effects of Nobiletin on their long term health. One group of mice was given a purified, powdered form of Nobiletin, while the other group was not. The mice who did not receive it became obese, developed fatty liver issues, atherosclerosis, and type 2 diabetes, while none of those issues were developed by the mice who had been given Nobiletin. Although the flavonoid in this study was in an isolated form, you can easily get it straight from the natural source by eating, or juicing, fresh tangerines. In a Nurses’ Health Study published in 2012, it was revealed that women who ate high quantities of flavanone from oranges, grapefruits, and their juices had a 19 percent decrease in their risk for blood-clot related stroke. Data was compiled from 69,622 individuals every four years for a 14-year-period using food-frequency questionnaires. During this time, researchers tracked the correlation between the 1,803 victims of stroke and their corresponding dietary intake of citrus compared to participants who did not suffer with stroke. Oranges are one of the best sources of flavonoids, and they can be obtained from drinking juice as well, but beware of the added sugar in most commercial juices – your best bet is to juice your own instead. However, note that eating the whole fruit offers more benefits (such as fiber) than drinking orange juice. A Japanese study from 2012 found that the juice and pulp of the satsuma mandarin were successful at inhibiting cancer tumor growth. The betacryptoxanthin and hesperidin from the mandarins were linked to the suppression of tumor growth in the tongue, lung, and colon. Research from the Oregon Health & Science University established a connection between vitamin C and the proper functioning of nerve cells in the retina of the eye. This finding led researchers to speculate that because the retina is a part of the central nervous system, vitamin C may be important in proper brain function as well. Not to mention, the powerful antioxidant properties of vitamin C are key players in inhibiting free radical damage to the body. Vitamin C captures free radicals and neutralizes them before they can cause cellular damage. Lemons (and mangos, for that matter) contain an aromatic compound called linalool that has been shown to reduce tension by decreasing gene activity and altering blood chemistry. In a Japanese study, lab rats were exposed to stressful conditions with or without the smell of linalool. For the rats who inhaled linalool, their stress levels of neutrophils and lymphocytes were reduced back to near-normal levels. It is clear that having a bit more citrus in our lives certainly couldn’t hurt… and could help a whole lot. 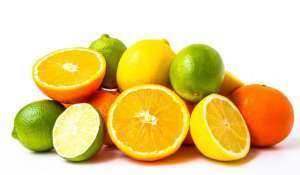 Hey Buddy!, I found this information for you: "Reduce Your Risk of Stroke and Drop Pounds with Citrus Fruits". 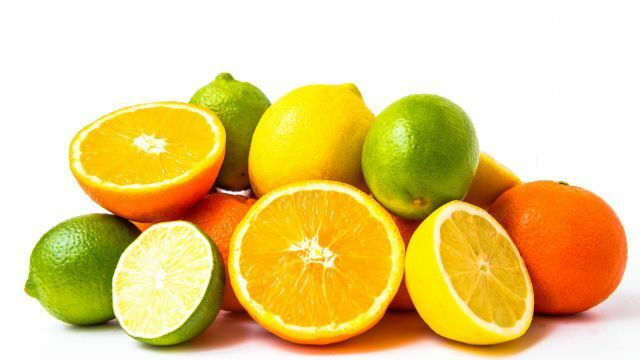 Here is the website link: https://www.thealternativedaily.com/reduce-your-risk-of-stroke-and-drop-pounds-with-citrus-fruits/. Thank you.